Based near Shaw Lane Industrial Estate, on Shaw Wood Way, Doncaster test centre can be found across from Sandall Park. Practically on the doorstep of the bustling A18, Doncaster test centre receives its fair share of visitors each month. If you're looking to put your driving skills to the test here, you might fare better by getting to know more about Doncaster. Read on for directions, pass rates, test routes and much more. Around 10 minutes from the town of Doncaster, and right next to the busy roundabout off Thorne Road and the A18, Doncaster test centre is easily accessible for all learners heading here. If you're interested in taking a look around the centre before your lessons or practical, you can find directions here. You won’t be able to practice for your exact test route, as the DVSA stopped publishing routes to prevent candidates from memorising them. 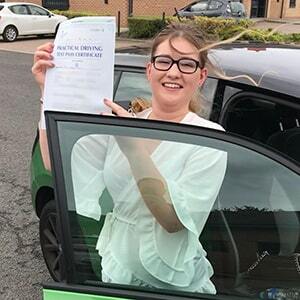 You can, however, get a rough idea of what to expect by checking out videos of Doncaster test routes on YouTube and downloading our sample Doncaster driving test routes. As with every other test centre route, however, the Doncaster test route will incorporate a varied range of road types to keep you on your toes and to ensure that the examiner is able to see your full driving ability. Additionally, if you're learning with a local ADI, they'll introduce you to the features likely to show up on your practical. While Doncaster has been skirting above and below the national average in recent years, you should remember that as long as you listen to your instructor and practice, you have every chance in the world of passing. What If I Can't Go To Doncaster? If you can’t take your test at Doncaster test centre, there are others in South Yorkshire to head to. The nearest alternate centre is Rotherham. Once you’ve finished your test, the examiner will let you know the results. They will give you your test pass certificate if you passed, and ask for your provisional so that they can send off for your new licence. If you failed, they will give you written and verbal feedback regarding your mistakes—this is very important if you want to pass your practical the next time you take it. There it is—the f word. Fortunately, it’s not too much of an issue for learner drivers. For some people, it just takes a second or third try. If that’s the case, you just need to take the feedback your examiner gave you into consideration—it’s all about learning from your mistakes. If you failed your test recently and you’re looking to rebook, PassMeFast can speed up the process by fast-tracking your test. We can even offer refresher courses if you need some more feedback and advice from an experienced instructor. To get started, simply contact us online, or give us a ring on 0333 123 4949. Tired of traditional driving schools? PassMeFast might just the answer to all of your problems. We offer both intensive and semi-intensive courses that enable learners to get on the road in mere days. Using an intense yet flexible course structure, our grade A and B instructors will take you through everything you need to know in time for your fast-track practical test. Don’t miss out—browse our course prices and give us a call on 0333 123 4949 to get started. Alternatively, book a course online to take one step closer to getting on the road. Really happy with the course and my instructor. Passed first time—thank you so much.